Fear of losing teeth is real, and many people have nightmares of having teeth pulled or teeth falling out. They wake up in a sweat not sure of why they’re having this recurring dream. While there are different interpretations of what these dreams are related to, the fear of losing teeth is one of the biggest in a person’s life. Our dentists and hygienists are committed to helping our patients keep their teeth for their entire lives and with proper care here, in our office and good habits at home, most people can obtain this goal as well. Our teeth are some of the strongest bones in our body, and they’re designed for chewing hard foods. In some cases, damage to the teeth is inevitable, such as when you are involved in a car accident, but even then, we may be able to save your teeth. One of the best things you can do to keep your original teeth for a long time is visit us twice a year. Professional cleanings are designed to control plaque, that sticky material that leaves a bad taste in your mouth and promotes cavities, the beginning of tooth decay. Another important thing you can do is practice good oral health habits at home. Brush twice daily, using a toothbrush with soft bristles and floss daily. We also recommend using a water pic to get to those hard to reach places even flossing won’t understand. Avoiding bad habits such as drinking or eating sugary foods and smoking, can also help you keep your teeth for a long, long time. Smoking can lead to tooth loss and even oral cancer, so it is a good idea to try to kick this bad habit. 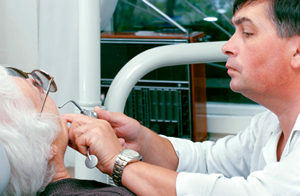 There are many things we can do together to help you keep your original teeth as long as possible.